The 1839 square foot Brazos has been a favorite for those seeking both comfort and function in a modestly-sized single level home. An expansive living room is overlooked by an ample dining area which creates an atmosphere perfect for entertaining or those stay at home family nights. The generous master suite boasts its own private bathroom and substantial oversized closet. 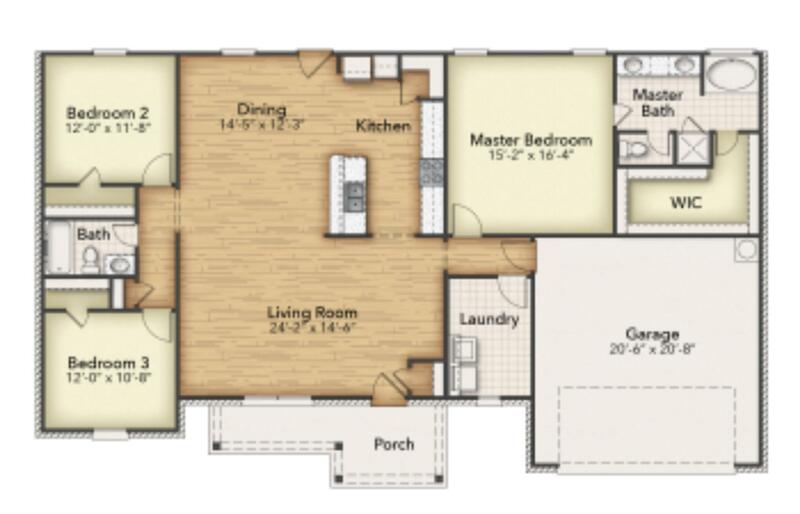 The additional two bedrooms are equally sizeable and share the second bathroom. A large utility closet offers valuable storage space perfect for a deep freezer.